Though it only came to light in 2010, it’s hard to remember now just why the world was so shocked by the concept of Kanye West and Bon Iver’s Justin Vernon working together. Maybe that’s when music fans still felt like Vernon was theirs, an under-the-radar crooner with messy hair, dirty pants, and absolutely nothing in common with West. But West (or, let’s be honest, his team) had somehow fallen in love with Vernon’s “Woods,” and the Wisconsin-based singer ended up in a studio in Hawaii laying down tracks with West, Nicki Minaj, John Legend, and Rick Ross. 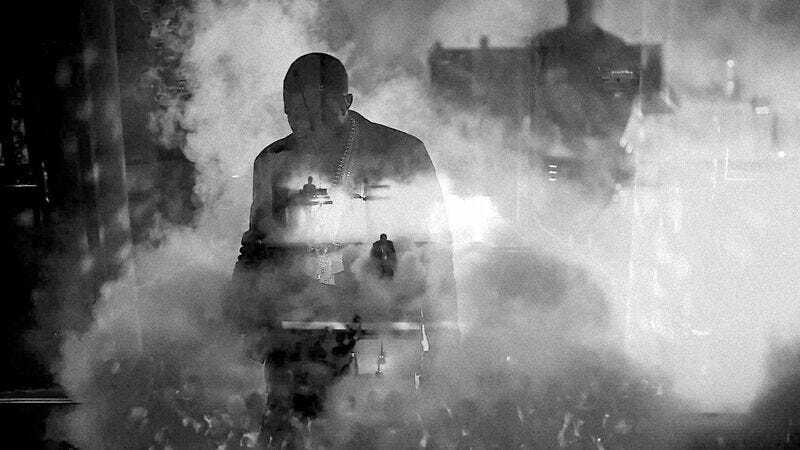 The result of the unlikely collaboration, “Lost In The World,” is an eerie, atmospheric, and surprisingly catchy ditty that ended up closing West’s 2010 masterpiece, My Beautiful Dark Twisted Fantasy, alongside the Gil Scott-Heron-featuring sound collage “Who Will Survive In America.” Featuring lyrics that West has described as some of the most poetic of his career, “Lost In The World” is bathed in post-production tricks and overdubs, placing the song in space, rather than just in a listener’s ears. Of course, a lot of that lushness can be attributed to the collaboration, as Vernon’s ghostly vocalizations bring a degree of complexity and romance that West rarely—if ever—achieved before on his own.